MEXICO CITY, Nov. 20, 2014 /PRNewswire/ — Mexico City is ranked No. 3 on the GOOD City Index (GCI), which ranks the most inspiring cities in the world. The annual list compiled by GOOD, media company that also publishes the quarterly GOOD Magazine, features cities that deliver on eight key attributes that “best capture the elusive quality of possibility,”: progress, civic engagement, street life, defining moments, connectivity, green life, diversity and work/life balance. GOOD praised Mexico City Mayor Miguel Angel Mancera for his progressive approach to city government and reports reasons why Mexico City is continuing to emerge as a top global destination. In addition to Mexico City’s rich cultural history and deep traditions, the capital city is gaining acclaim as one of the world’s most influential culinary destinations citing attractions such as Michelin-starred restaurant Pujol and gastro-hall Mercado Roma. Mexico City also gained recognition for its sustainability innovations such as its bike share program and key initiatives overseen by Mayor Mancera including mobile health clinics, free uniform distribution, arts discount program for teens, expanded bike lanes and technological advances. North American cities include Atlanta, Detroit, Los Angeles, New Orleans and Santa Fe in the U.S. and Montreal and Vancouver in Canada. The GOOD City Index is available online now at http://magazine.good.is/guides/good-cities-index-2014. 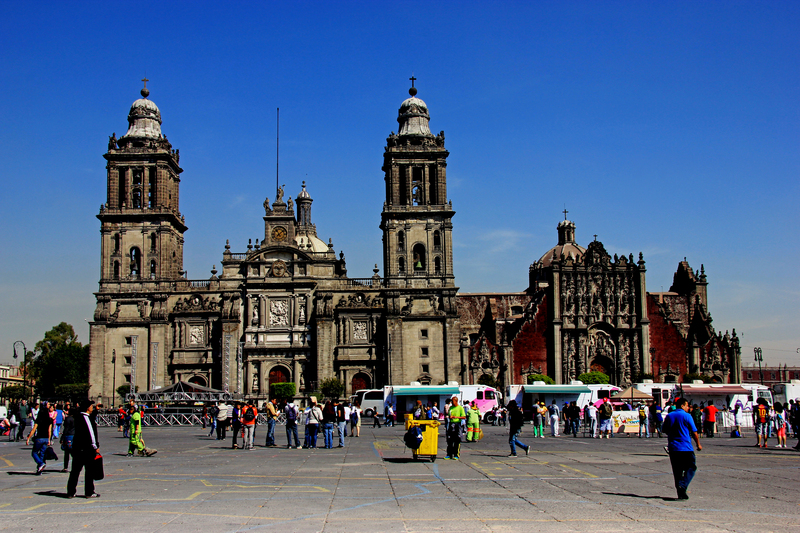 Mexico City is the country’s premier tourism destination, welcoming more than 12.5 million visitors a year. The ancient capital offers a vibrant, contemporary culture that combines pre-Hispanic, colonial and modern influences that span nearly seven centuries. With more than 160 museums, 30 distinct archaeological and historic sites, and 100 art galleries, the city is a mecca of fine art and treasures that speak to its vast history. The Mexico City Tourism Promotion Fund (Fondo Mixto de Promocion Turistica del Distrito Federal) supports and enhances city tourism. For more information and daily updates please visit/follow us on Facebook (www.facebook.com/MexicoCityLive) and Twitter (@MexicoCityLive).